Bakumatsu, the period followed by Modernized Meiji Era, is the intersection between the ancient and the modern of Japan. It was the last stage of Samurai and Ninja. 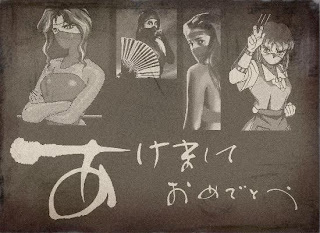 For example, The Last Kunoichi くノ一幕末奇譚 talked about that period. The time never comes back, yet photos can keep the images of the time. Someone developed a program called 幕末古写真ジェネレーター to transform an inputted picture into the one with Bakumatsu style. It looks like very old newspaper, doesn't it? April is the month of Spring. The Cherry blossoms everywhere in Japan. It is nice, isn't it? 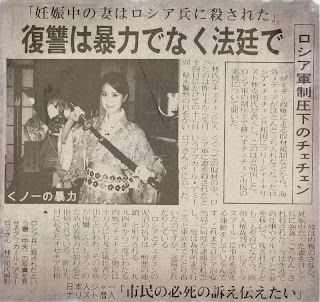 Miss Hong Kong, Suki Chui, became a Kunoichi in Japan. She recently hosted a TV show introducing Japanese foods. Does a girl eating a lot of Japanese foods always become a Kunoichi? If true, no wonder why so many HK girls wear black stocking. The Chinese Master defined the style of Female Assassins. They wear black veil and black suit. How mysterious they are. Yet their stories seem the same, as if following a formula: Show, Fight and Lose, whenever it happened in the past, modern or contemporary. Any gentleman not touched by her word "I am willing to be killed by your sword. "?